The University of the Fraser Valley women’s basketball team wrapped up the Cougar Classic preseason tournament in Regina, Sask. with a 73-51 loss to the Ryerson Rams on Saturday morning. The Rams, last season’s CIS silver medalists, represented a stiff test for a youthful Cascades squad. The Toronto program shot 50.9 per cent from the field, and their balanced attack was led by Sofia Paska (14 points), Cara Tiemens (13) and Kellie Ring (13). There were signs of growth for the Cascades, though. CIS All-Canadian Kayli Sartori, coming off a six-point outing on Friday in a loss to the Carleton Ravens, bounced back to score a game-high 20 points on 8-of-14 shooting from the field. Shayna Litman was in double figures for the third straight game with 14 points, and 2015-16 Canada West all-rookie teamer Taylor Claggett had 14 points and a team-leading eight rebounds. 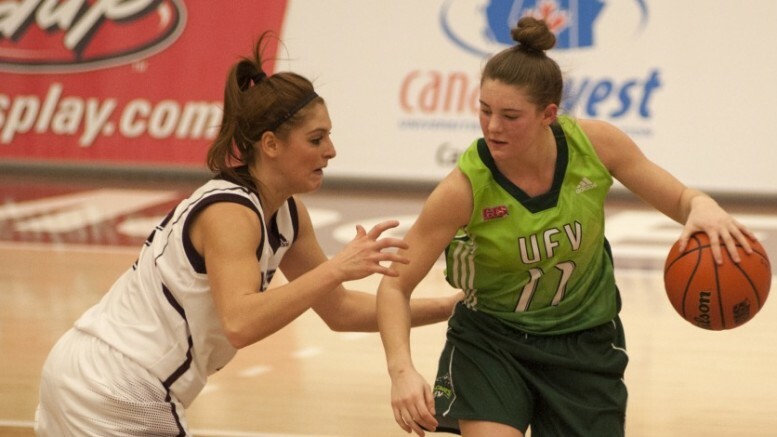 “I thought we competed quite well today,” UFV head coach Al Tuchscherer said. “In our third game in three days, and an early morning game, I thought the girls put in 40 minutes of pretty tough basketball. “The same problem we’ve had all week is we’re just not finding great shots in our offence, and that comes down to me and just getting them more prepared for quality opponents. 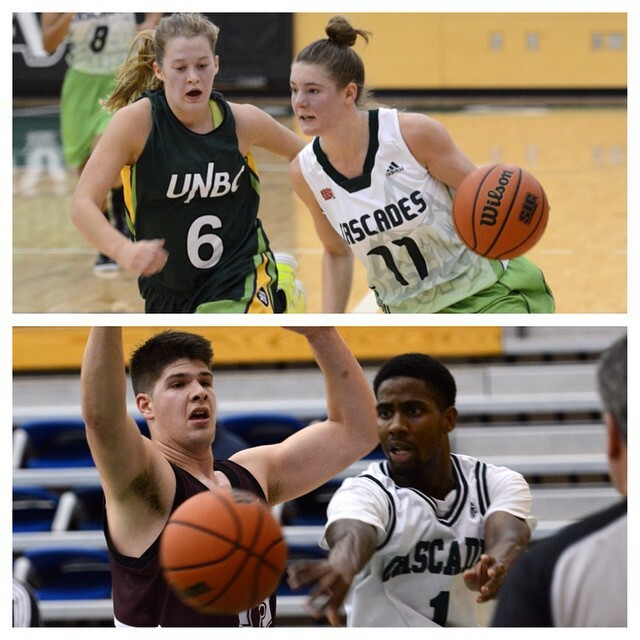 The Cascades continue their preseason preparations this coming week with an exhibition game against the UBC Thunderbirds on the road on Friday (6 p.m., War Memorial Gym). They open the Canada West regular season Nov. 4-5 at home against the Saskatchewan Huskies. Be the first to comment on "UFV Sports Saturday"